Pima County Natural Resources, Parks and Recreation (NRPR) is helping sponsor a free Water Safety Expo from 10 a.m. to noon Saturday, Aug. 25, at Manzanita Pool, 5110 S. San Joaquin Ave. The event will feature free life jackets to the first 250 youngsters, the Ghost Ship obstacle course, a waterslide and firetrucks. 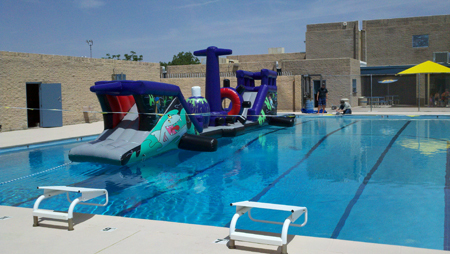 The event is part of Drowning Impact Awareness Month and is co-sponsored by the Drowning Prevention Coalition of Arizona, Drexel Heights Fire District, and the Independent Pool and Spa Service Association Inc. The Skin Cancer Institute at the University of Arizona will provide a sunscreen station. The pool is open until 7 p.m. for recreation swim. For more information, call 520-419-1481.